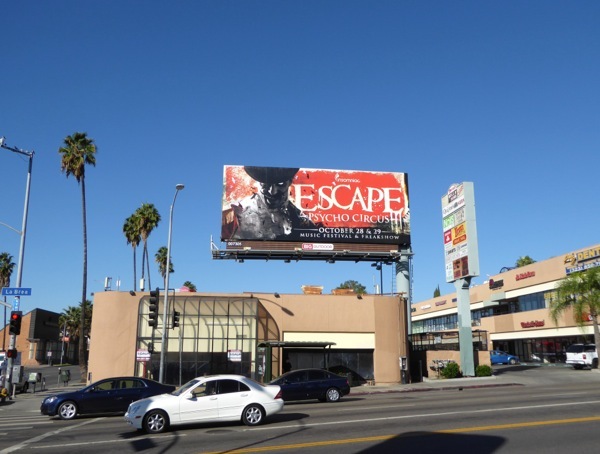 What better way to kick off the long Halloween weekend festivities than these two creepy ad creatives trying to tempt you to experience their dark and twisted delights. 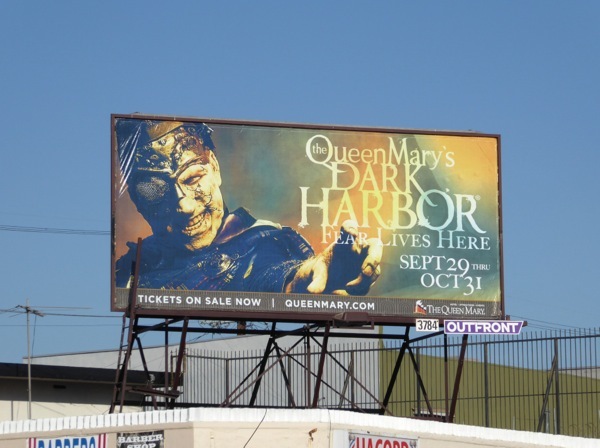 This year once again Dark Harbor at the docked haunted Queen Mary ocean liner in Long Beach, California hosts a horrifying variety of sinister mazes, terrifying attractions, spooky live entertainment and plentiful food, potions and brews. 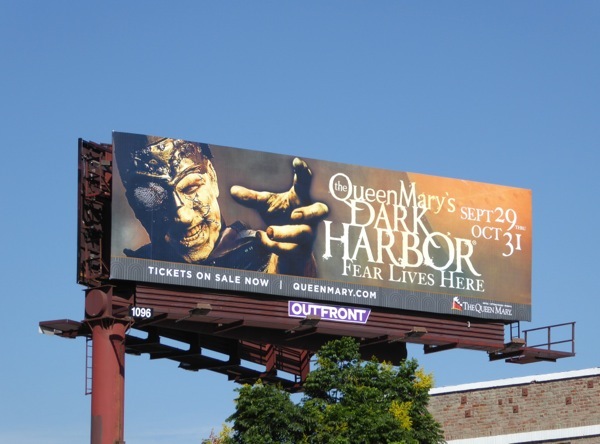 You can visit for just a few hours of scares, or if you're brave enough you can even stay onboard overnight in one of the ship's hotel rooms. 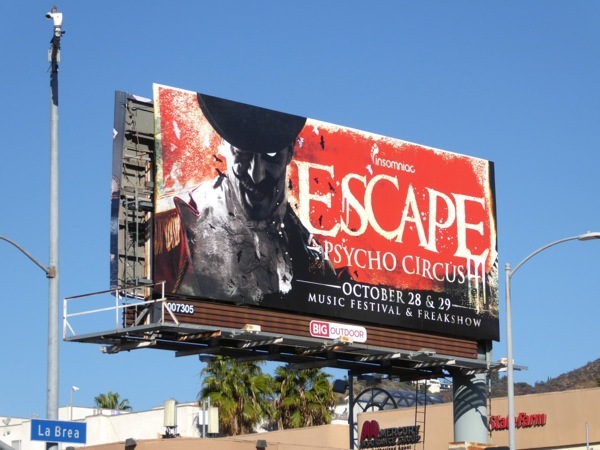 For another type of experience this Halloween, there's also the Escape: Psycho Circus taking place at the NOS Events Center in San Bernardino, California. 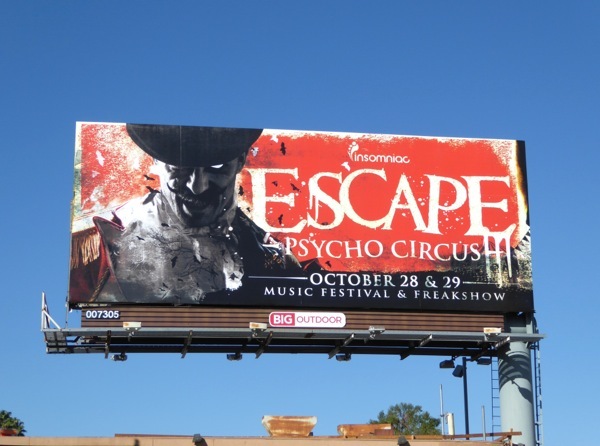 The Insomniac dance music festival and freakshow offers an assortment of mazes, stages, performers and more sinister sights and sounds to amaze, astound and bewitch visitors. 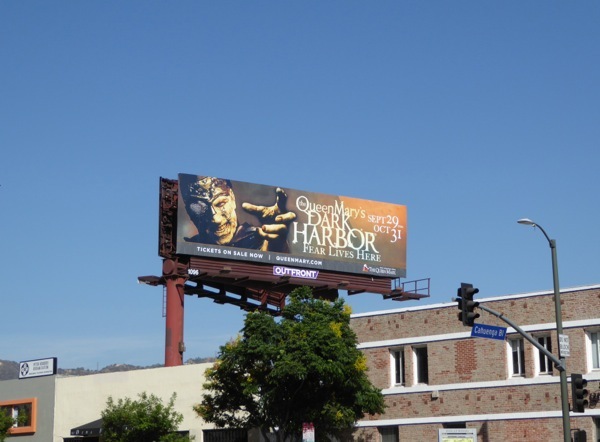 The standard Dark Harbor landscape billboard featuring 'The Iron Master', the Queen Mary's new resident supernatural spirit, was snapped along Sunset Boulevard at Cahuenga Boulevard on September 23, whilst the smaller ad version was spotted along Pico Boulevard on October 18, 2016. 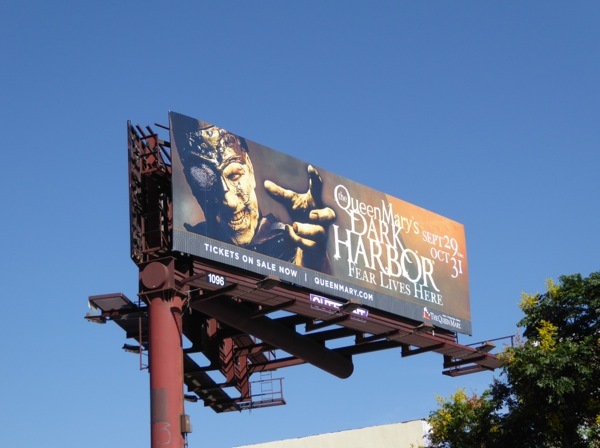 Plus if you like this year's ad creatives, make sure you check out 2015's billboard for The Queen Mary's Dark Harbor Halloween attraction. 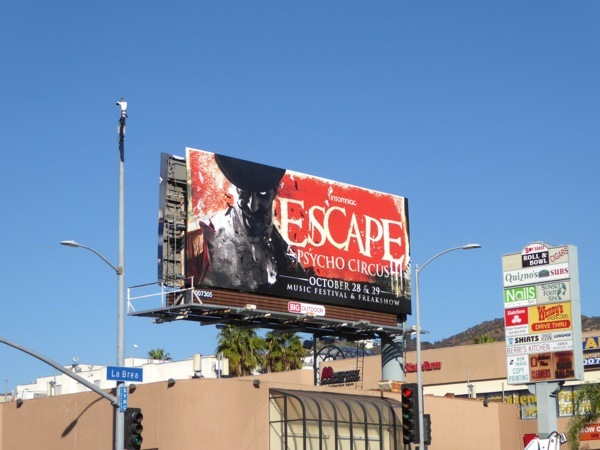 Meanwhile the equally eye-catching Escape: Psycho Circus billboard was spotted at the intersection of La Brea Avenue and Sunset Boulevard on October 24, 2016. Whatever dark arts and macabre entertainments you indulge in this weekend, happy hauntings to all you creatures of the night.